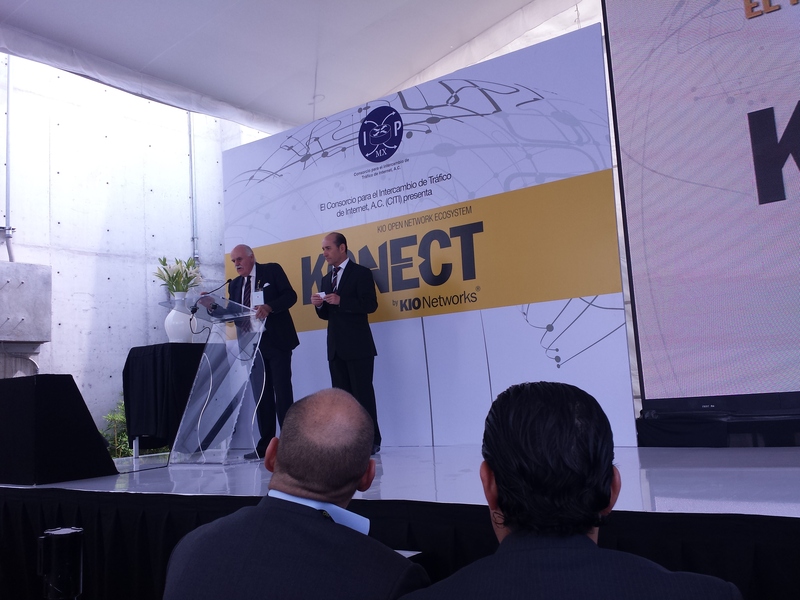 Last Wednesday CITI that stands for “Consorcio de Intercambio de Tráfico de Internet”, that means something like the IXP’s Consortium, announced the operation of the first IXP (Internet Exchange Point) in Mexico. 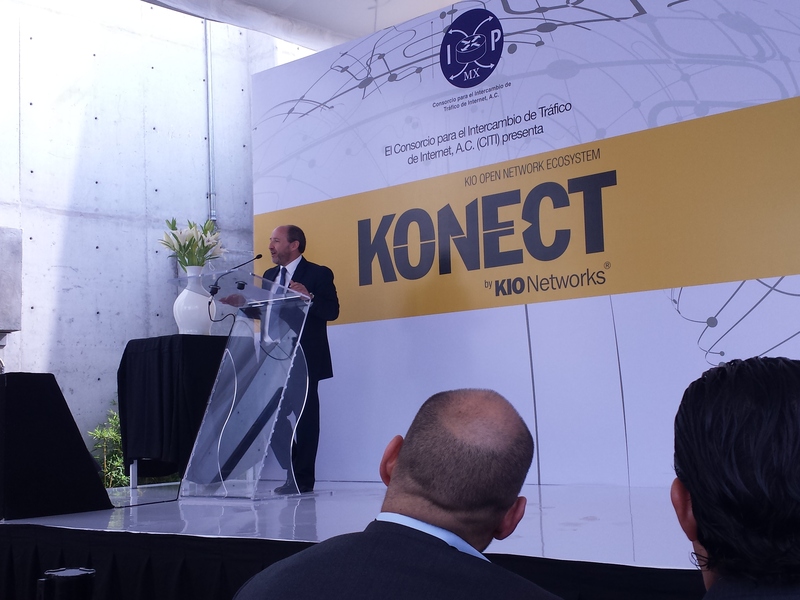 This first IXP will be hosted at the most robust – and cutting-edge technology based- Datacenter in LATAM: KIO Networks Santa Fe (Mexico City). However, the most important figure was Carlos Casasús. Carlos created CUDI and is leading it from the beginning and also he is running CITI from the foundation as the president of the board. I just can tell you that all these achievements wouldn’t be possible without Carlos’ participation.. It was really nice seeing Carlos Casasus happy with this initiative made real. 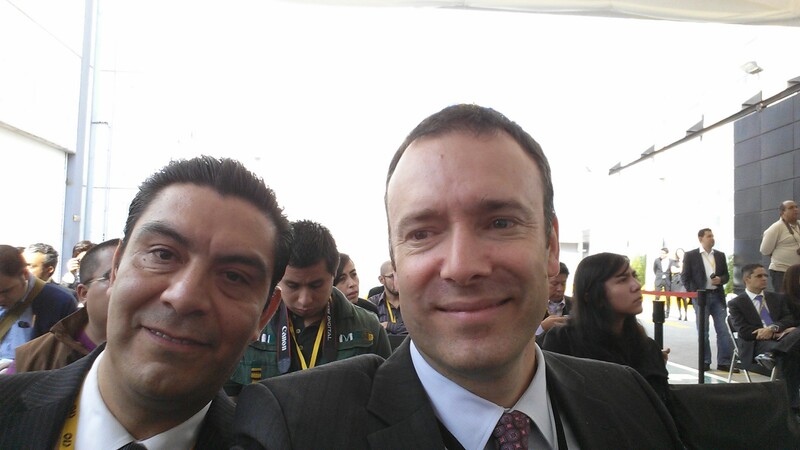 Next Picture you can see Carlos Casasús (left) and our Sales Director for Core Services José Fonseca (right). José was the event host. I have to mention another important figure who is Sergio Rosengaus, CEO at KIO, who alsowas working on this initiative since he founded the first Datacenter, dreaming about to create other options like NAP (Network Access Point) for the Mexicans. His dream is becoming true. Also, I want to thanks Carlos Maqueda, Erick Maqueda and Alfonso Cueto and his band for their tremendous support. Congratulations to Carlos, Sergio, CUDI, CITI and the rest of the members of the CITI for not giving up! There are 376 IXP around the world in 95 countries according to the information published by the ITU. Mexico was the only OECD’s country without an important infrastructure like this. IXP will help to reduce the cost and improve the quality of the communications to the Mexicans. Telmex, the most important Internet provider in Mexico with almost 60% of the connection coverage all over the country, is not part of the CITI. However, this is the first effort to create an infrastructure like this, and with the Universities, and companies like Google, who is already connected to this exchange point, and eventually more content, e-commerce, banking partners, this exchange will be appealing the biggest players in the telecommunication market. This is only the beginning. 50% of the IXPs around the word are concentrated in just 9 countries. Then, Mexico will have more exchange point than this. The most, the better. Anyway, I’m proud to say that I am working at KIO, the first Mexican Company to host the first IXP in Mexico for the Mexicans. it’s nice to see how your are changing the way teh networks works! good job! KIO siendo el primero otra vez, EXCELENTE ! !